Card provider moves to reduce fraud as it responds to huge growth in contactless and online payments. One of the world's biggest credit card providers has revealed it will no longer require merchants to take a signature as authentication of payments. American Express has announced it is responding to the huge growth in payments made by contactless and Chip and PIN cards by abolishing the need for signatures at the Point of Sale (PoS) terminal in a store. The company says the move will, "help provide a more consistent and simplified checkout experience for merchants and Card Members in regions around the world" as well as speeding up the paying process and reduce merchant operating expenses related to retaining signatures. The change will come into force in April 2018, and will apply to all merchants who accept American Express across the world, making it the first company to make such a move. Merchants will still have the option to collect signatures following the April deadline if they choose to, or if required to by law, but American Express expects the vast majority to move away from this. 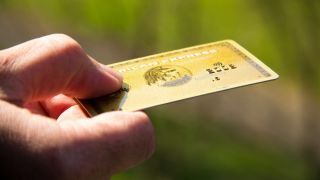 Mastercard and Discover already have such a policy (although Visa still requires signatures for its credit card customers in the US), with American Express' news coming as many of the leading card providers move towards a more connected and smarter way for their customers to pay. “The payments landscape has evolved to the point where we can now eliminate this pain point for our merchants,” said Jaromir Divilek, executive vice president, global network business, American Express.